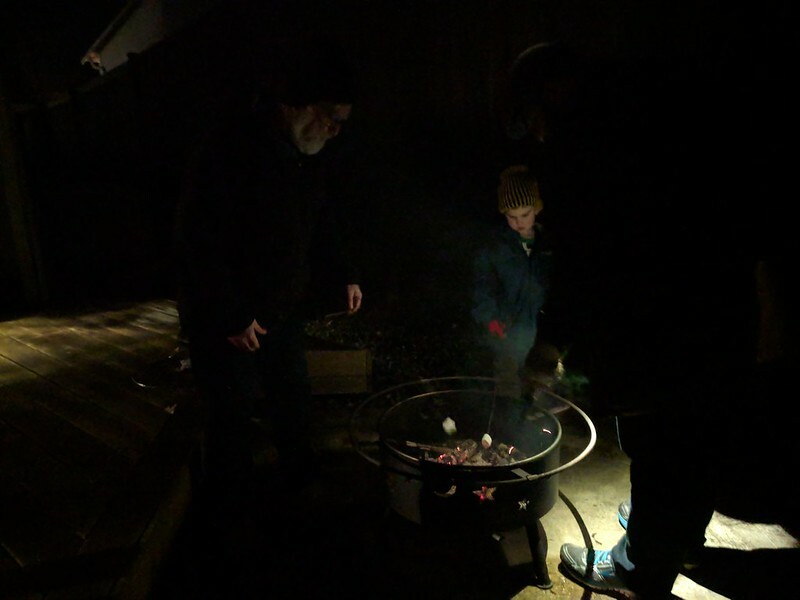 To celebrate New Year’s and a not-rainy night, we tried out Ian’s new fire pit for the first time tonight. 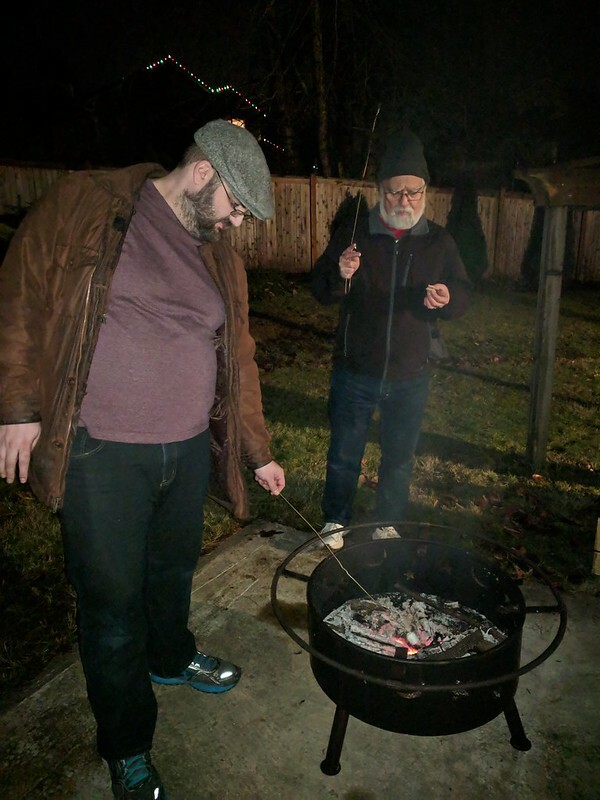 After overcoming a few hiccups, we successfully produced s’mores and thus consider it a complete success. And it was our most exciting New Years celebration in years. 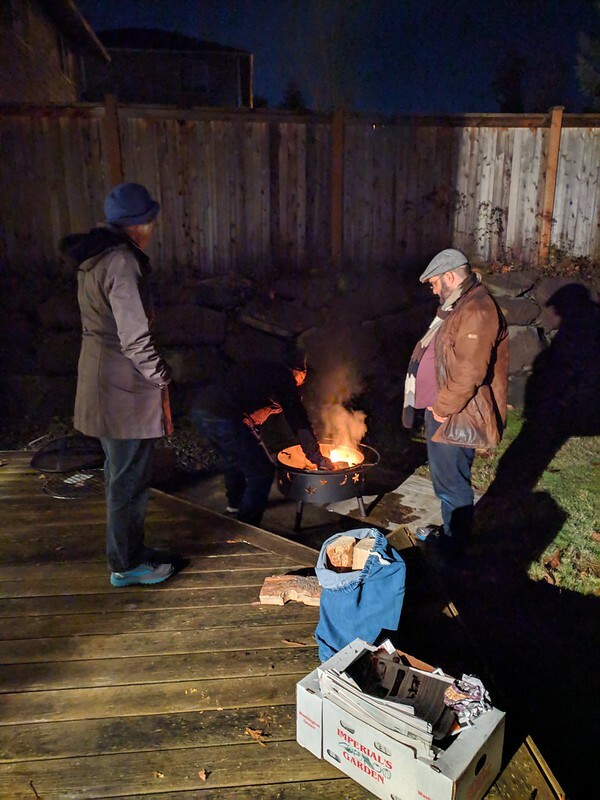 I look forward to many more backyard s’mores to come. 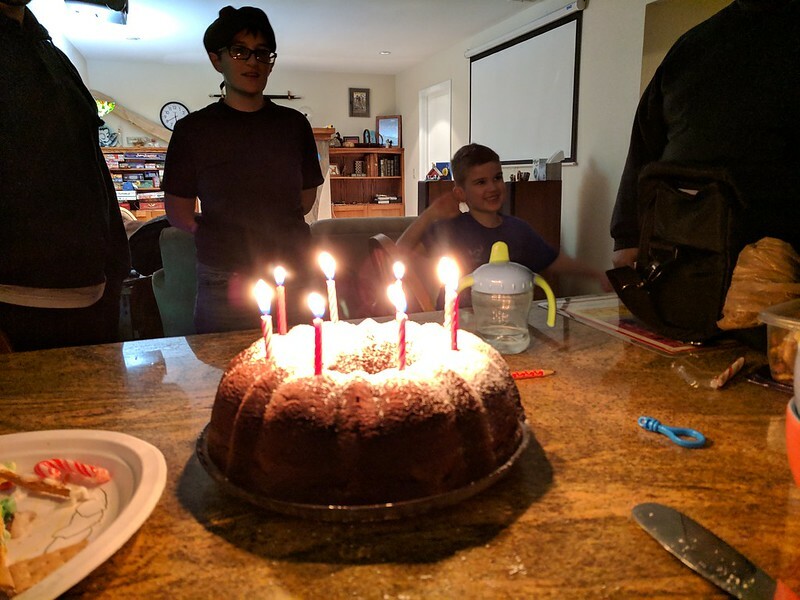 Author KatiePosted on December 31, 2018 December 31, 2018 Categories FamilyLeave a comment on …And a Happy New Year! “[Christmas] came without ribbons! 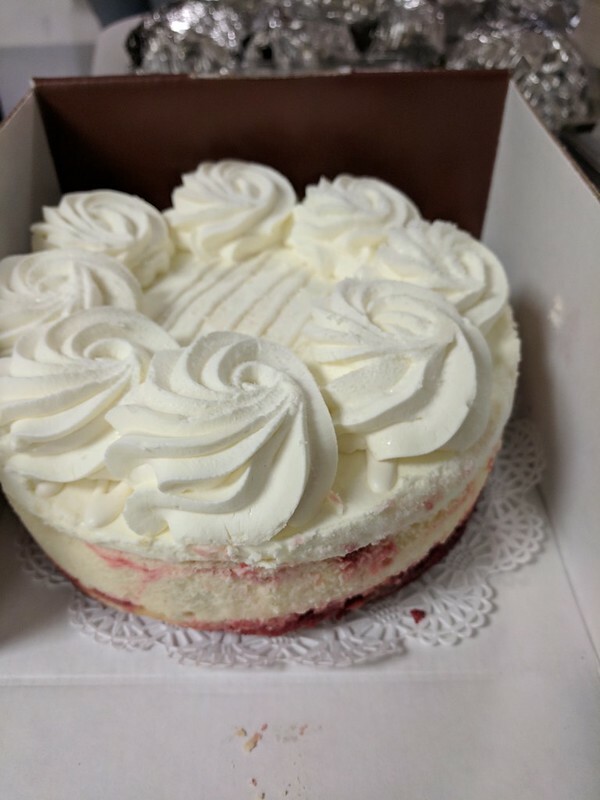 It came without tags! This year we made generous donations on behalf of the adults in our family, with very small token gifts for each person. My employer matches 100% of donations up to $2,500 total, so we made sure to do donations through their system and double the dollars. I felt pretty smart about that. Benji received Pokemon pajamas, Pokemon cards, and a Pokemon book he really wanted. Commence the Poke-mania. 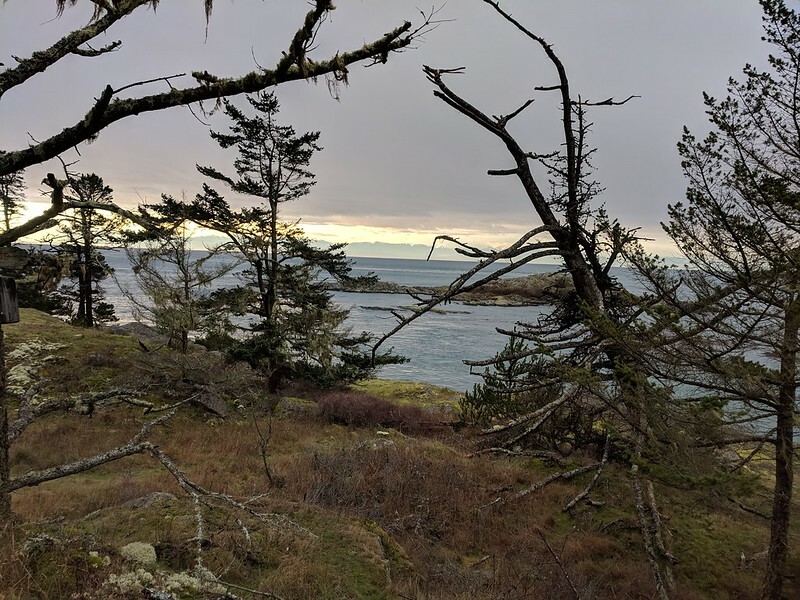 On December 26, my entire side of the family, including Colleen and Jordan, went to Lopez Island for four nights. I’ve made some tough choices and culled down to one picture per day. 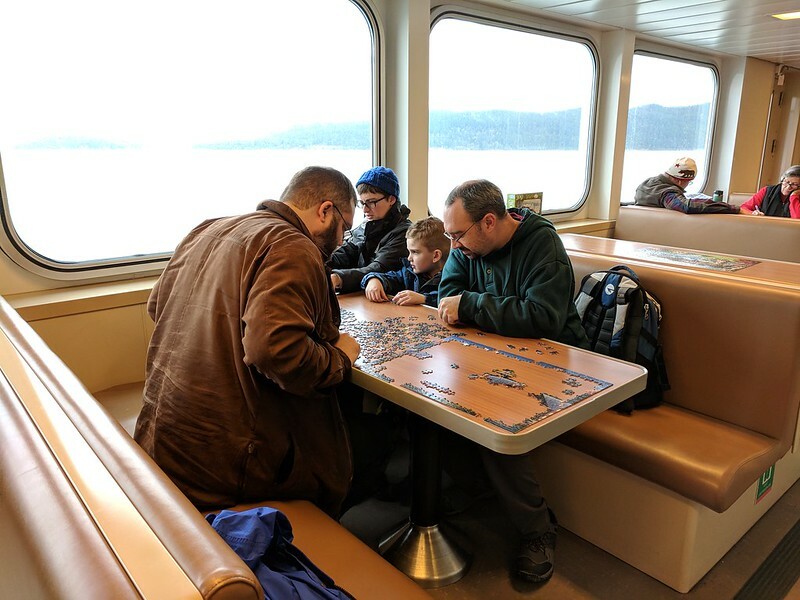 We got started on a 1,000 piece puzzle on the ferry to Lopez. Sadly it’s only 40 minutes, so we didn’t get that far; plus, we suspect some of the pieces were missing. 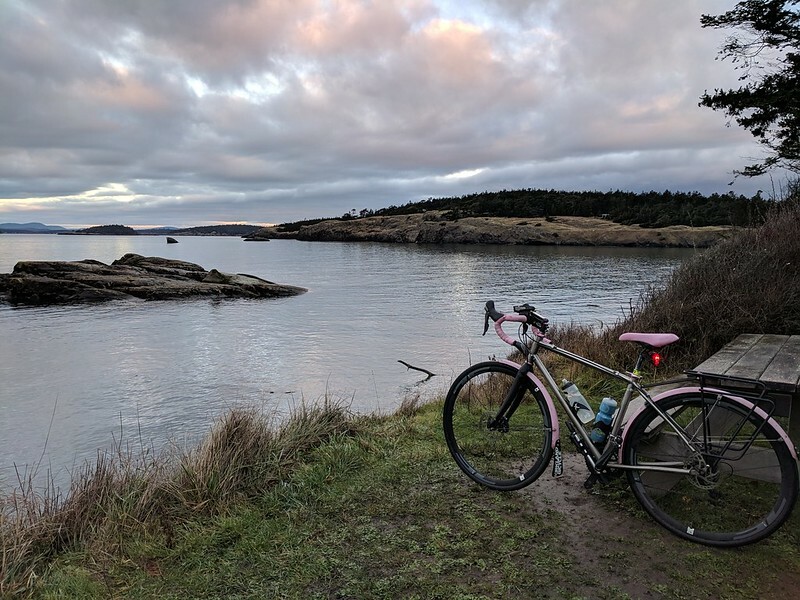 On Thursday morning Dad and I went for a 45-mile ride around Lopez Island. We started in the dark and got to see the sunrise. We went slow, but appreciated every beautiful minute. On Friday it rained ceaselessly. 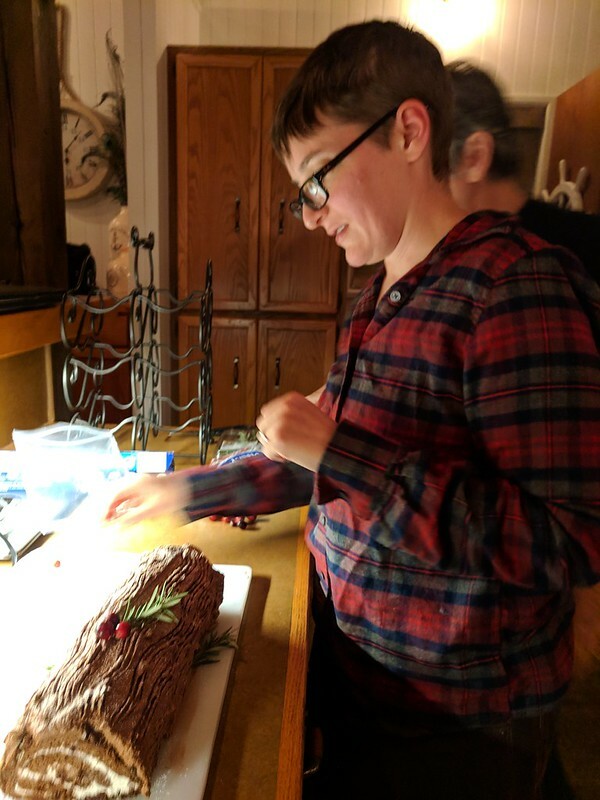 Benji went a little stir-crazy, but Colleen and I did manage to squeeze in the time to make a Yule Log, which we’d planned well in advance. 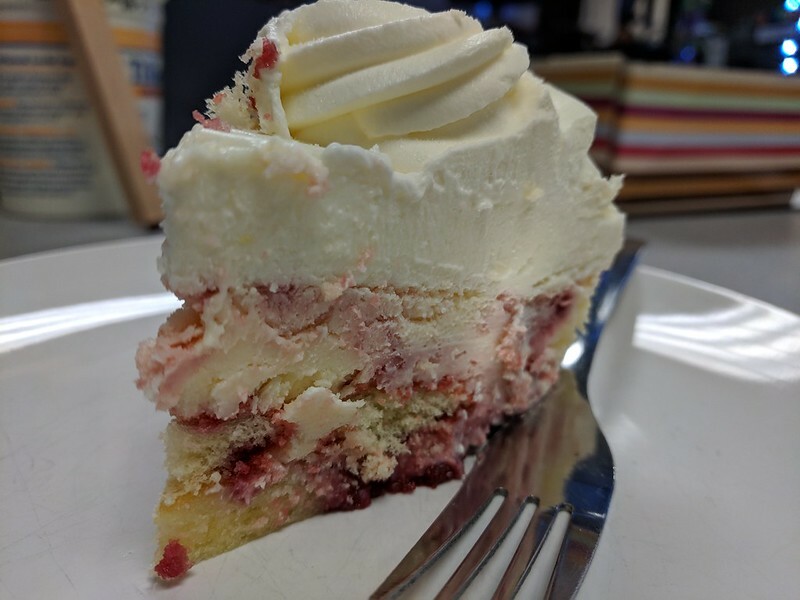 It turned out beautiful and delicious. On Saturday it rained hard most of the day, but in the morning we got out to Shark Reef before the rain started. It’s a tiny park with a minimal hike but a truly spectacular view. My phone camera really couldn’t do it justice. The Olympics, the sunrise, the currents, sea lions and eagles and enough moss and lichen to warm any botanist’s heart. On Sunday morning just Benji, Ian, and I caught the 9:30 ferry back home. We got in line an hour early, so we arrived just after sunrise, and again got some wonderful views. 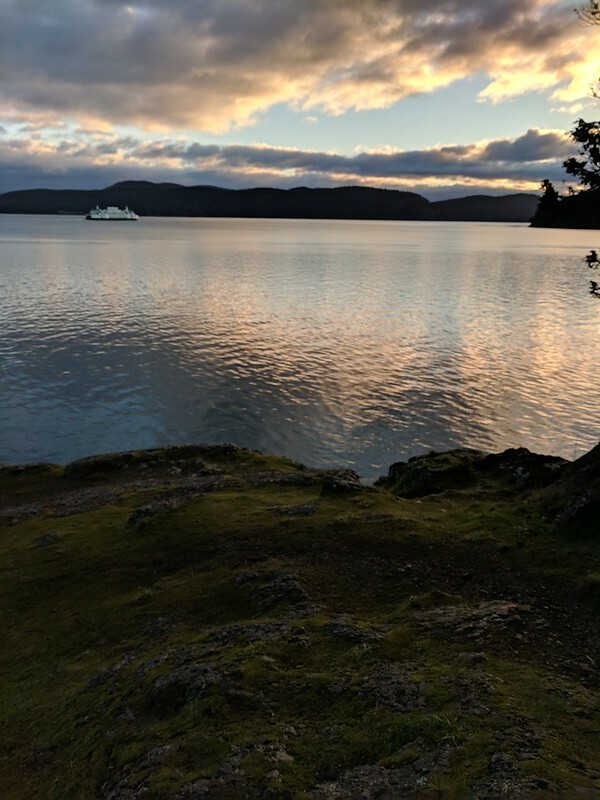 The San Juan Islands really do spoil a person for natural beauty. The bazillion times we reminded Benji to please be quiet, because Jordan and Colleen were still “sleeping” (I seriously doubt there was a lot of sleeping going on after 6:30 am, but the thought was there). We left the island a little earlier than anticipated, at 9:30 am rather than 1:30 pm, and that was a good call. We got home in time to rest and reset, and Colleen, Jordan, and my parents joined us just in time for Indian food dinner and one last game of Pokemon-and-trainer. Overall, a good but exhausting trip. Now do I get a vacation to recover from my vacation? You may notice that the look and feel of my blog has changed. I felt like it was time for a facelift. The only real change you might see is that I’ve added a menu at the top. Not that there a lot of navigation that you might want to do, but there it is. Hope you enjoy the updated theme, and let me know if you have any suggestions or ideas for improvements. Computers sure do smooth out some things. 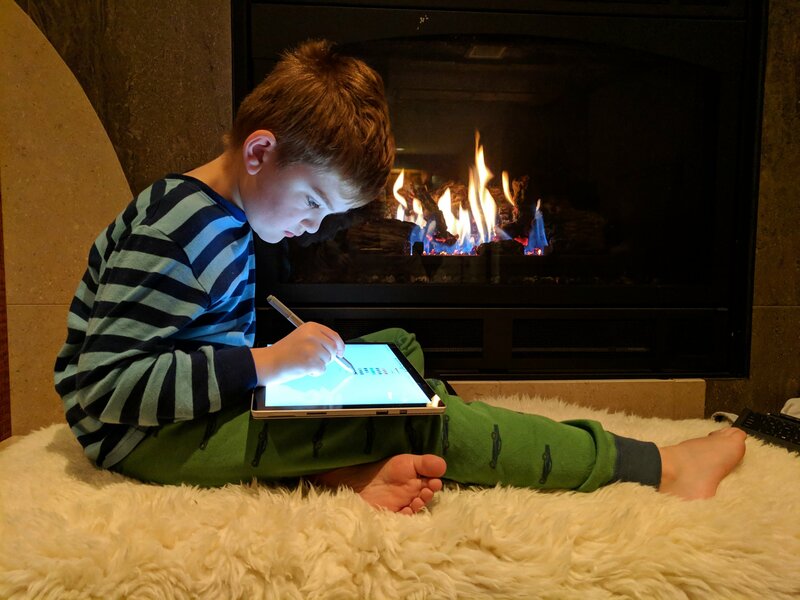 Coloring on my Surface allows him to erase more easily, use colors that can’t exist in real life (rainbow, star sparkle, and hot lava are popular), and — best of all — undo mistakes. I also like not using up reams of paper on half-finished scribbles. We keep computer usage under close control, but this is a case where it really does work for us.